If you’re new to Python, plotting is a great way to get used to data structures, and even syntax, because you get immediate visual feedback. Plots are just fun. This dataset contains results from point-counting 51 shallow marine sandstones from the Eocene Sobrarbe Formation. We’re going to plot normalized volume percentages of quartz grains, detrital carbonate grains, and undifferentiated matrix. Three parameters? Two degrees of freedom? 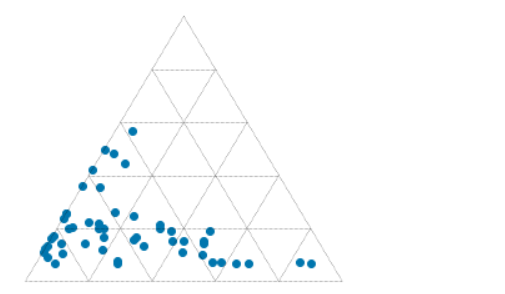 Let’s make a ternary plot! We just need a few lines of plotting code (left) to pull a ternary diagram (right) together. Give it a go, and have fun making your own ternary plots in Python! Share them on LinkedIn or Twitter. Quartz, carbonate and matrix quantities (normalized to 100%) for 51 calcareous sandstones from the Eocene Sobrarbe Formation. 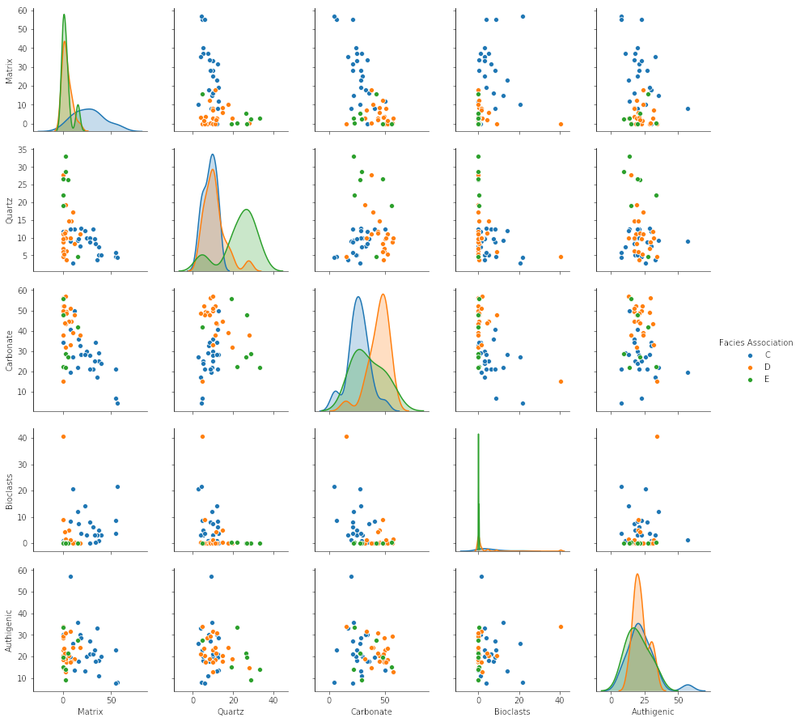 The ternary plot was made with python-ternary library for Python and matplotlib. "the rainbow color map can significantly reduce a person’s accuracy and efficiency"
The world has known for at least 20 years that the rainbow colourmap is A Bad Thing, perhaps even A Very Bad Thing. IBM researchers Bernice Rogowitz and Lloyd Treinish — whose research on the subject goes back to the early 90s — wrote their famous article Why should engineers and scientists worry about color? in 1996. Visualization guru Edward Tufte highlighted the problems with it in his 1997 book Visual Explanations (if you haven't read this book, you must buy it immediately). This isn't a matter of taste, or opinion. We know — for sure, with science! — that the rainbow is a bad choice for the visualization of data. And yet people use it every day, even in peer-reviewed literature. And — purely anecdotally — it seems to be especially rife in geoscience <citation needed>. It's been linked to inferior image interpretation by professionals (Borkin et al 2011). It introduces ambiguity into the display: are we looking at the data's distribution, or the colourmap's? Colourblind people cannot read the colours properly — I made this protanopic simulation with Coblis. It does not have monotonically increasing lightness, so you can't reproduce it in greyscale. There's no implicit order to hues, so it's hard to interpret meaning intuitively. On a practical note, it uses every available colour, leaving you none for annotation. For all of these reasons, MATLAB and Matplotlib no longer use rainbow-like colourmaps by default. And neither should you. People tend like things that are bad for them. Chris Jackson (Imperial, see here and here) and Bert Bril (dGB, in Slack) have both expressed an appreciation for rainbow-like colourmaps, or at least an indifference. Bert went so far as to say he doesn't like 'perceptual' colourmaps — those that monotonically and linearly increase in brightness. I don't think indifference is allowed. Research with professional image interpreters has shown us that rainbow colourmaps impair the quality of their work. We know that these colours are hard for colourblind people to use. The practical issues of not being readable in greyscale and leaving no colours for annotation are always present. There's just no way we can ask, "Does it matter?" — at least not without offering some evidence that goes beyond mere anecdote. I think what people like is the colour variance — it acts like contours, highlighting subtle features in the surface. Some of this extra detail is probably noise, but some is certainly signal, maybe even opportunity. See what you think of these renderings of the seafloor pick on the Penobscot dataset, offshore Nova Scotia (licensed CC-BY-SA by dGB Earth Sciences and The Government of Nova Scotia). The top row are some rainbow-like colourmaps, all bad. The others are a selection of (more-or-less) perceptually awesome colourmaps. 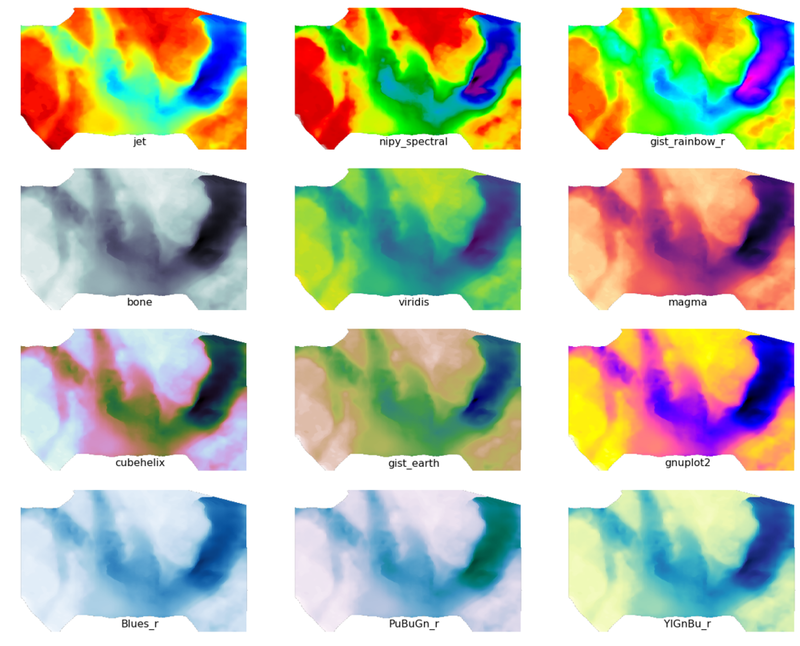 The names under each map are the names of the colourmaps in Python's matplotlib package. We know what kind of colourmaps are good for interpretation: those that increase linearly and monotonically in brightness, with no jumps or stripes of luminance. I've linked to lots of places where you can read about these — see the end of the post. You already know one perceptual colourmap: the humble Greyscale. But there are lots of others, so let's start with one of them. Next, instead of using something that acts like contours, let's try using contours! Make them thin and black, with opacity at about 0.2 to 0.5. Transparency is essential. Choose a fairly small interval; use index contours if there are more than about 10. Label the contours directly on a large map. State the contour interval in the caption. I must admit I do find a lot of these perceptual colormaps get too dark at the 'low' end, which can make annotation (or seeing contours) hard. So we will fix that with a function (see the notebook) that generates perceptually linear colourmaps. There you have it. If you care about your data and your readers, avoid rainbow-like colourmaps in the lab and in publications. Go perceptual! The Python code and data to generate these images is available on GitHub. Better yet, click here to play with the data right in your browser! What do you think? Are rainbow colourmaps here to stay? Borkin et al. 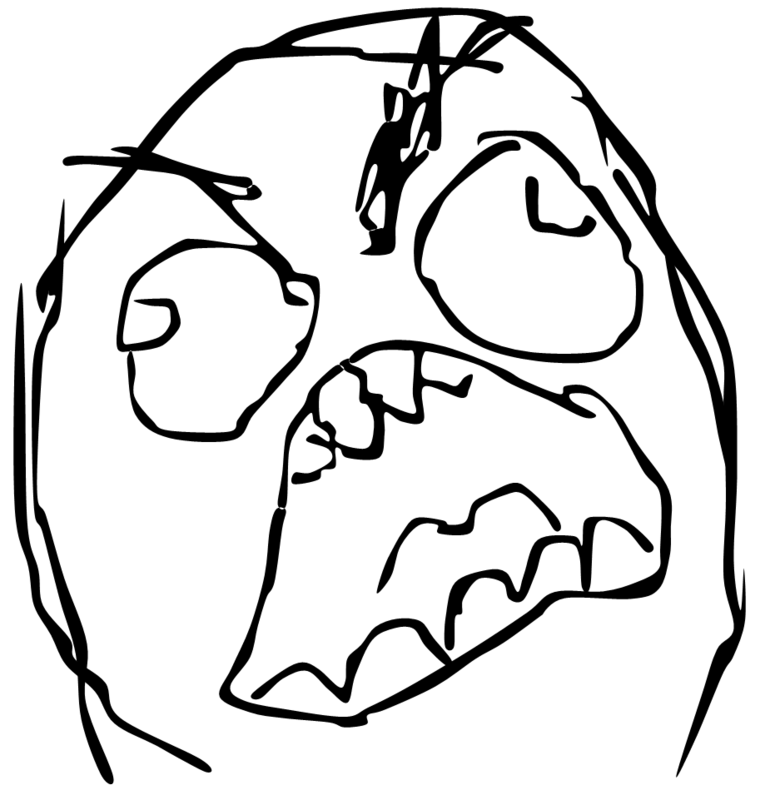 's 2011 paper is quite readable. Read Rogowicz & Treinish's article — it's a classic. Matteo Niccoli's series of posts, starting with this one. Read Ken Moreland on diverging perceptual colourmaps. Here's viz guru Robert Kosara on why rainbows are rubbish. You need to know about astronomer Dave Green's work on the cubehelix colourmap. An extended bibliography from Steve Eddins at MathWorks. Nathaniel Smith talking about matplotlib's colourmaps at SciPy in 2015. This post by astronomer Jake VanderPlas is another classic. Listen to this guy.